I’m excited to be a guest host again for Thrift Score Thursday! 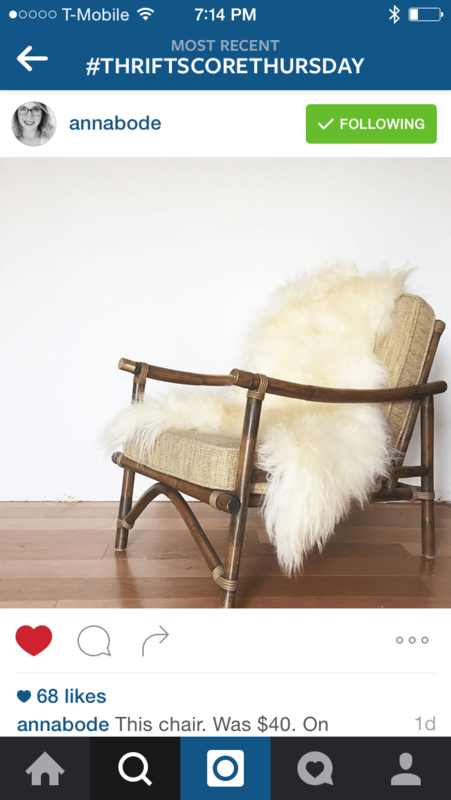 I love seeing what thrifty finds Brynne from The Gathered Home, Trisha from Black and White Obsession, Corinna from For My Love Of and Cassie from Primitive and Proper share each week. 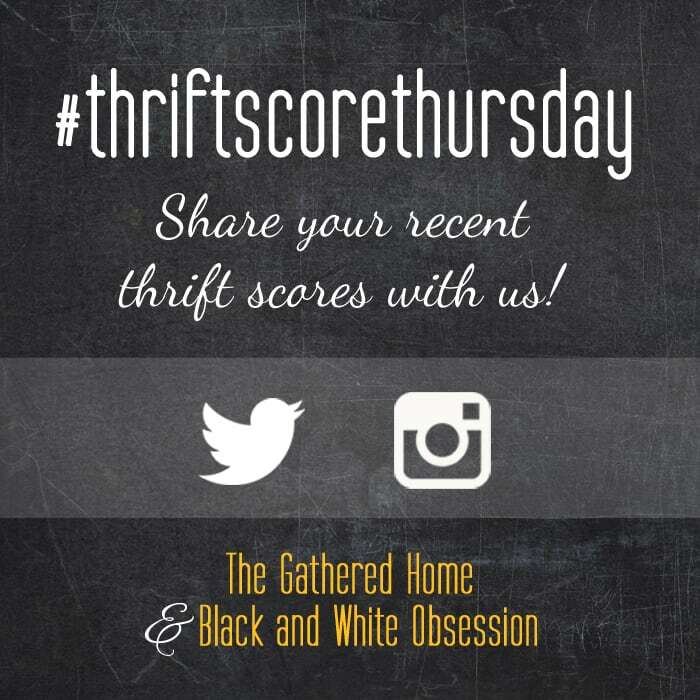 If you haven’t heard of Thrift Score Thursday, each week the girls are checking Instagram and Twitter for your finds (using hashtag #thriftscorethursday) and then they hand-select a few to share. 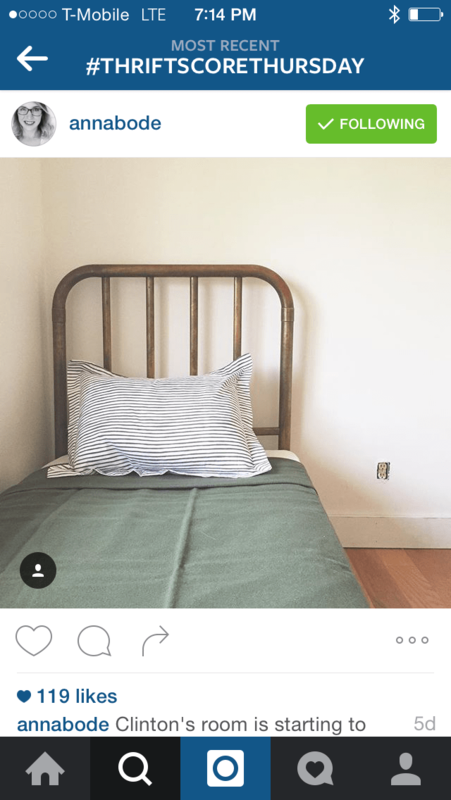 By being a guest host this week, I get to share the finds that I found jaw-dropping. @annabode kills it every single time! Seriously, I want to shop with this girl. I want her to be my bestie. This chair… what can I say? It has to have the most amazing accents that I’ve ever seen. and it was $40?! Say what? You want to hate her, but you love her feed so much that you can’t! 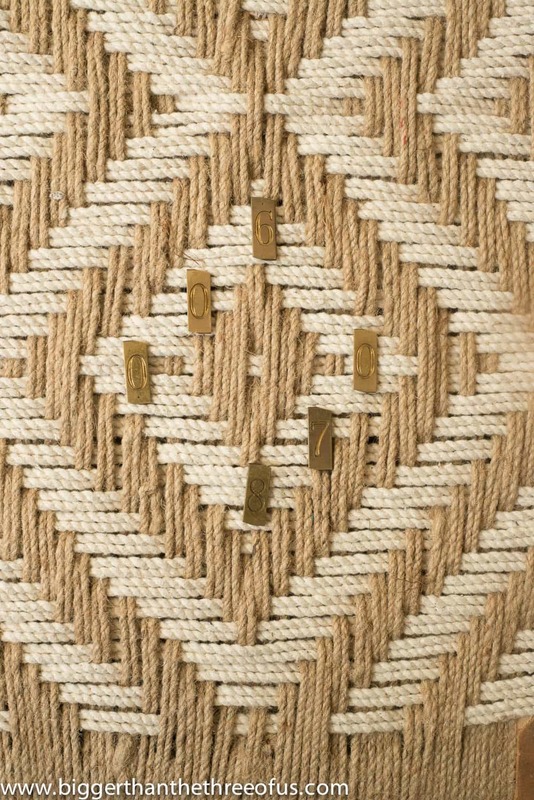 Oh, and don’t scroll backwards, because you’ll find more amazing finds like this bed. Want to see another crazy awesome find? 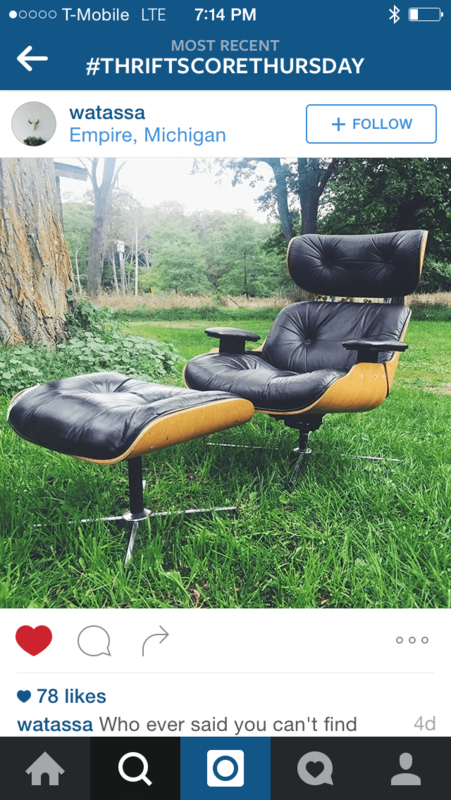 How about this chair that @watassa found? In light of those finds, mine just doesn’t stand up, although I totally love them! Luke and I dug through piles of numbers to find ones that mark our wedding date. 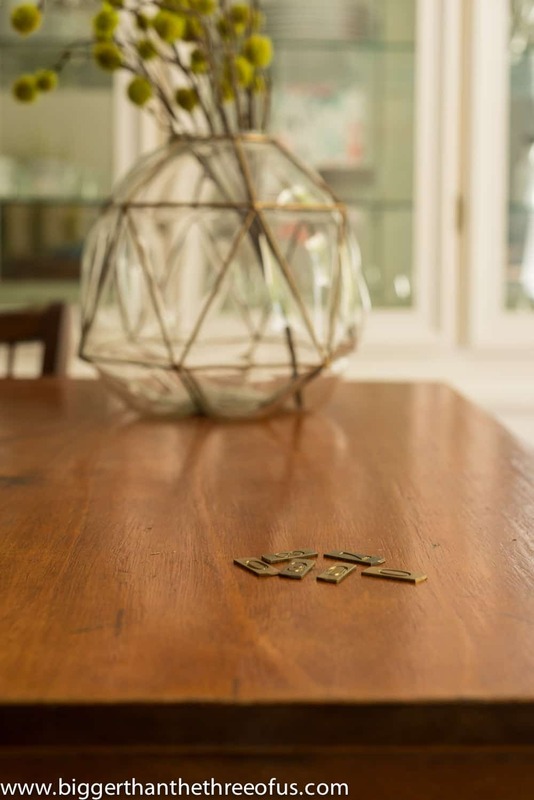 I’ve had it in my mind for awhile to do some type of nod to our wedding with brass numbers but I had never come across all of them together. Well, I scored with these. They were $8 which wasn’t dirt cheap but cheap enough. Especially when I really love them. Now, to get my DIY on and actually make a piece of art with them! Make sure you check out all the lovely hosts’ finds.